I’d really like to find a set of bucket seats for the Buick. The kind that came in the Invicta “Custom” and were an option for the Electra. When they come available, they are very spendy. 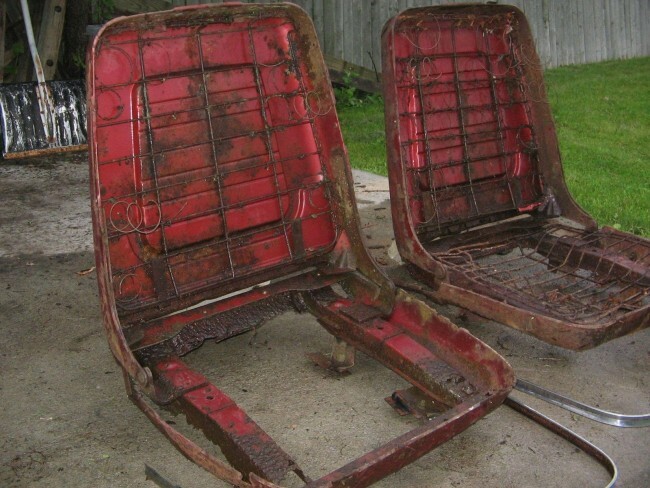 A pair recently turned up on eBay, but in pretty bad shape, missing the trim but including lots of rust. The auction ended at $762.51 USD. Pretty steep for a pair of rust buckets! No, I didn’t bid. These were from a 1960 Pontiac Bonneville, but are the same as the ones used in Buicks. They also came in 1959-1960 Cadillacs and Oldsmobiles. There was no option for these from Chevrolet. A decent restorable pair will typically sell for more than $1500 but can go much higher. I think I’ll keep my eyes open for a nice pair. Certainly this is a very low priority, considering all the other work that the car needs. They are just so darn cool, I “gotta” have ’em! I too have a 60′ Invicta convertible, with a bench seat. I’ve been looking for buckets for a while now, and they are surely rare and expensive. I did run across a really nice clean set at a flea market this year, but the guy wanted $2,500 for the set and wouldn’t budge from the price. 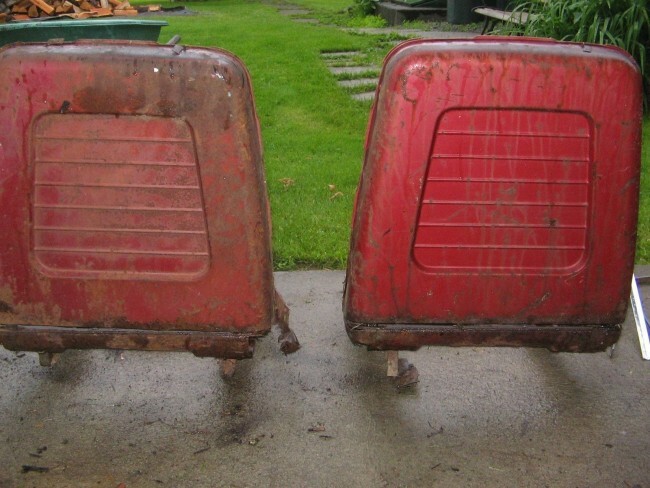 The 1959-1961 buckets are very similar to the 62′-65′ buckets without the metal backrest panel. 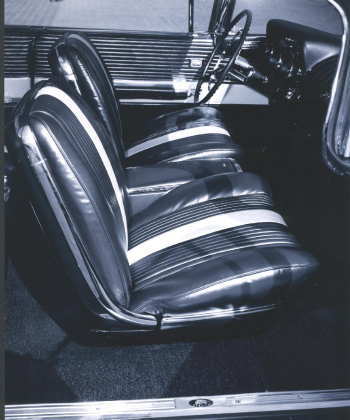 I’m wondering if someone could make a mold and produce fiberglass backrest panels that could be attached to the relatively cheap 62′-65′ bucket seat frames??? $2500 would have been a pretty good deal. Still a lot of money, but apparently the “going price” is much higher than that. The seats are significantly different than the ’62-’65 seats, but you could certainly “faux” a set by doing what you are suggesting. Are these seats still available and if so how much? Shipping to Goshen KY just outside of Louisville?